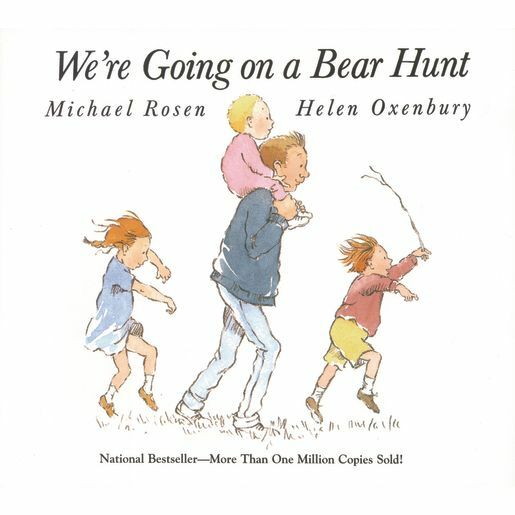 Have you ever gone on a bear hunt? Come along on this one with a brave young family-four children (including the baby) and their father. They're not scared. With them you will cross a field of tall, wavy grass ("Swishy swashy! "), wade through a deep, cold river ("Splash splosh! "), struggle through swampy mud ("Squelch squerch! "), find your way through a big, dark forest ("Stumble trip! "), fight through a whirling snowstorm ("Hoooo woooo! "), and enter a narrow, gloomy cave. WHAT'S THAT? You'll soon learn just what to do to escape from a big, furry bear! This is a book not to be missed, one to be chanted aloud and acted out, to be enjoyed over and over again.